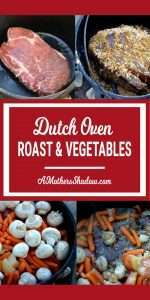 Have you wanted to learn how to cook in a dutch oven but have been afraid to try? 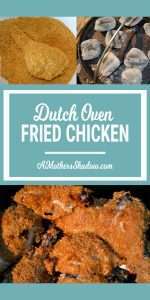 You will be successful EVERY TIME you cook with your dutch oven because there is a method to controlling the heat and I’ll tell you all about it. 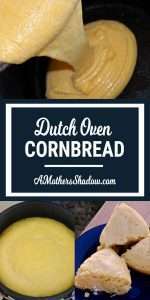 I have two posts that will guide you through learning how to cook in a dutch oven; knowing all about the basics, along with the list of TOP 10 ITEMS we recommend, – the HOW, WHY and WHAT of dutch oven cooking; all of it’s HERE in this very helpful post. After you pay a visit there, let’s start cookin with fire! 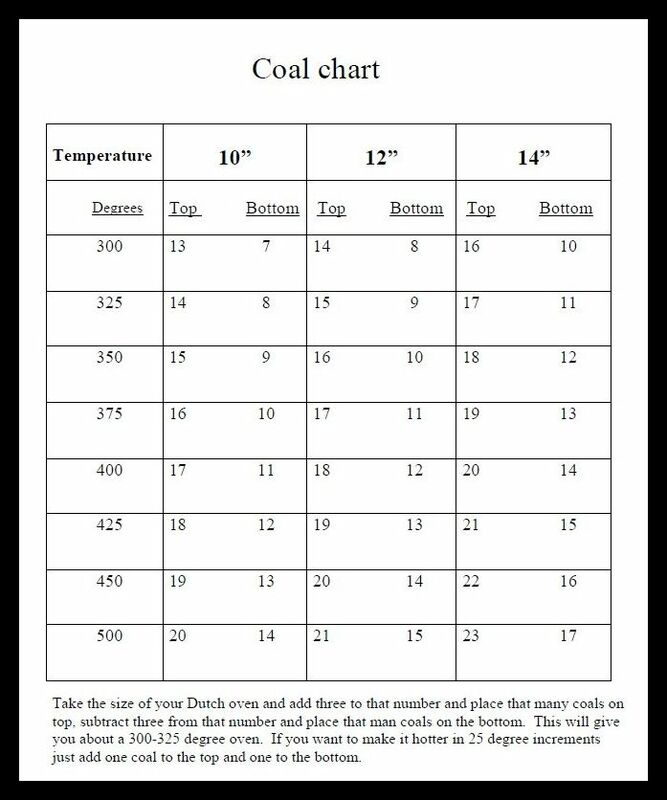 Explain how the Temperature Work with coals? 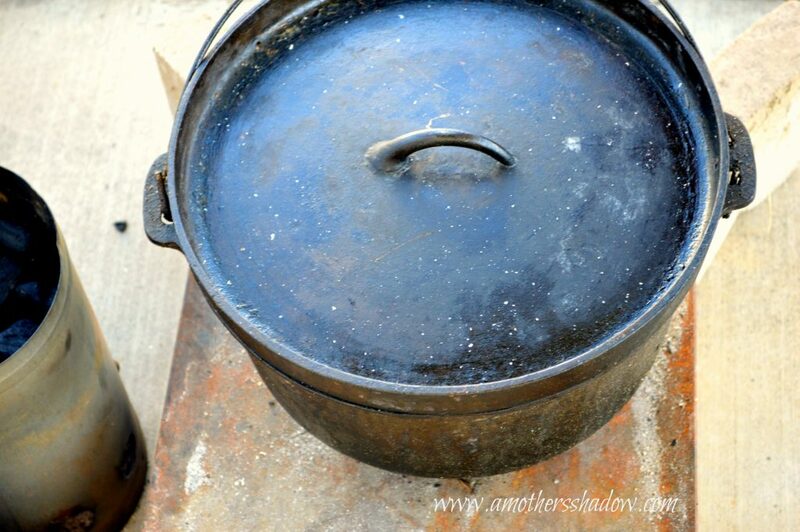 Part of learning how to cook in a dutch oven is all about the coal and the heat. 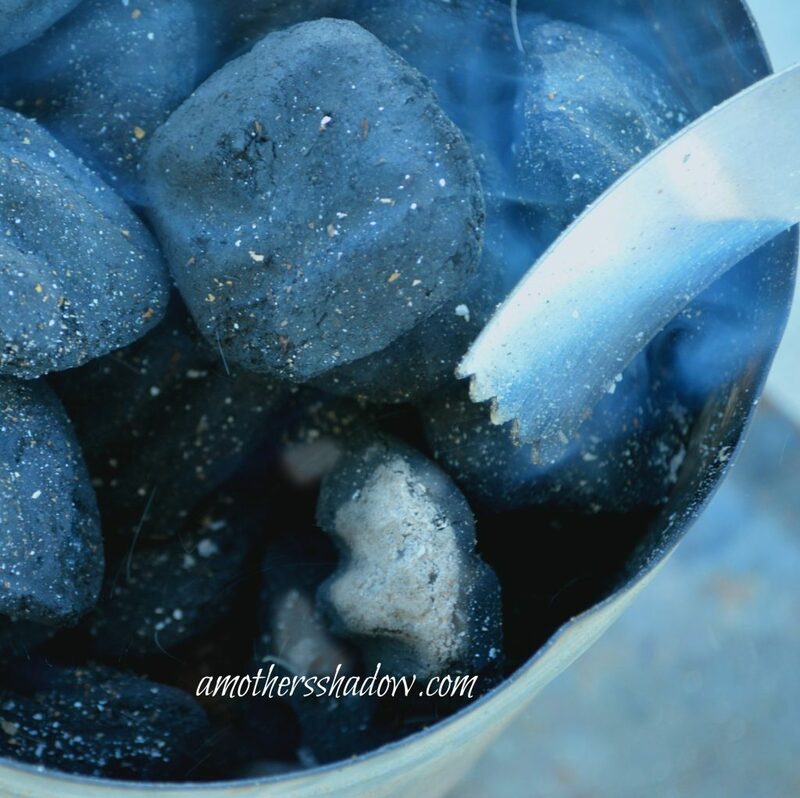 It’s not a guessing game, or a mystery of how many coals it will take for your recipe (I have great ones at the bottom of this post I share with you). 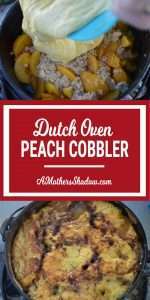 See, there is a sure-fire way to have success every time you cook with coal and your dutch ovens – it’s simply knowing how to control the temperature, based on the size of your dutch oven! 1- We like to use “The rule of Three” to gauge our temperature. 2- Take the size of your pot, for instance you have a 12 inch pot you would add three to the number 12 and put 15 coals on top and subtract three from 12 and place 9 coals underneath the pot. 3- This will give you about a 325 degree oven. 4- If you want a 350 degree oven, you would add one coal to the top and one coal to the bottom. 5- Doing this will increase the temperature 25 degrees. 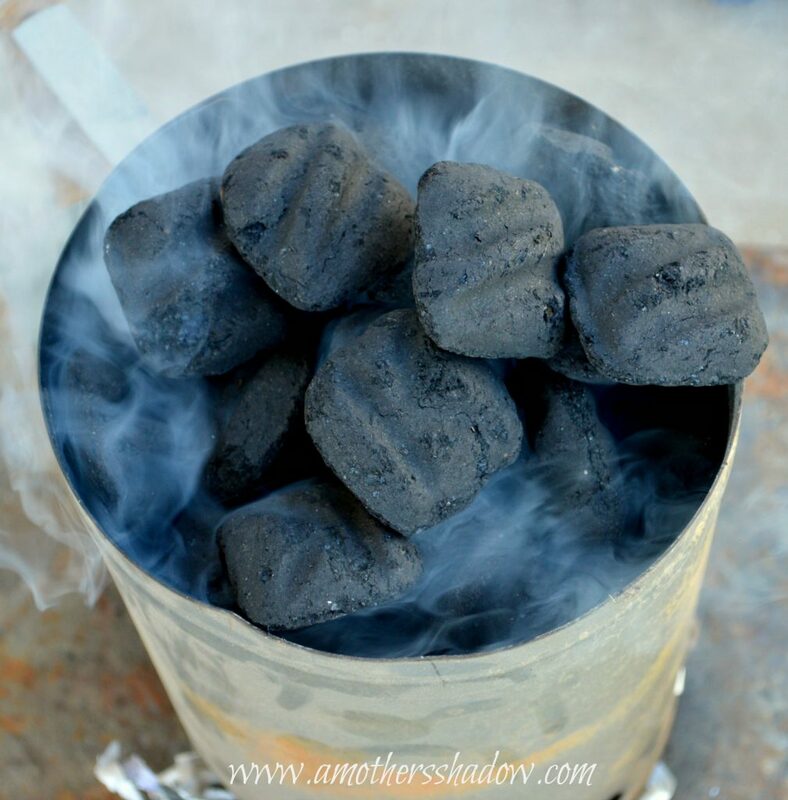 6- To decrease the temperature, simply remove 2 coals. 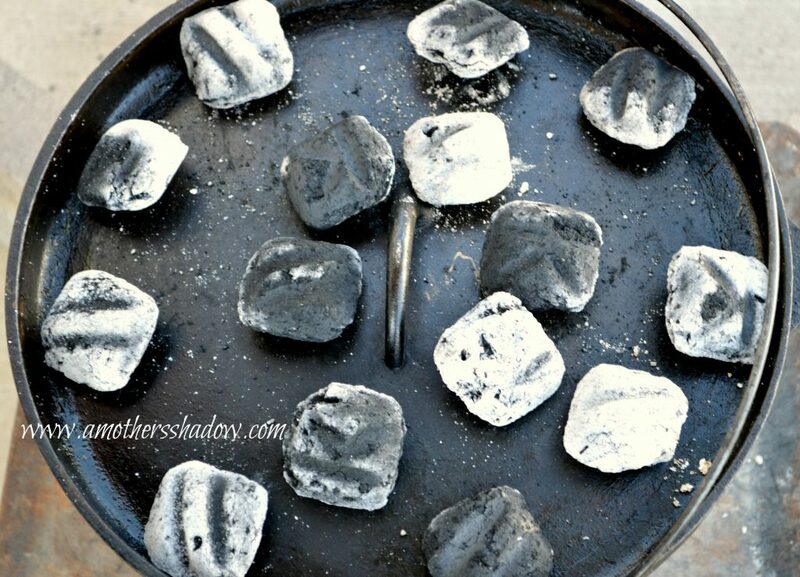 7- Coals are ready when the shoulders or edges are gray. 8- If you wait for the whole coal to be gray they will not last as long, this is when we say that they are “spent”. 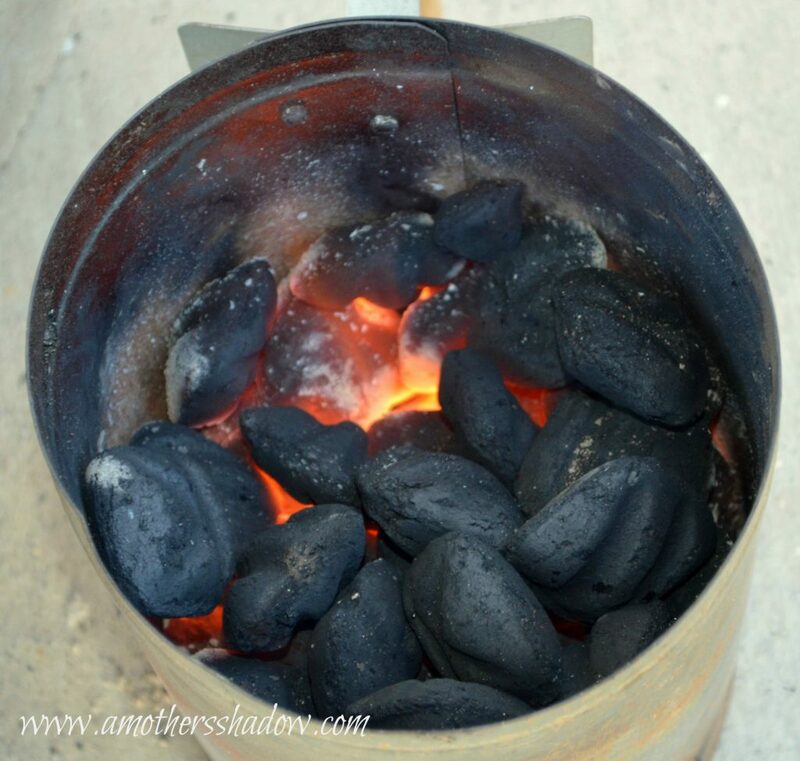 9- Coals usually last for at least an hour to an hour and a half. 10- To keep cooking, simply put a new coal next to a ‘live’ coal and it will ignite on it’s own, maintaining the temperature you desire. 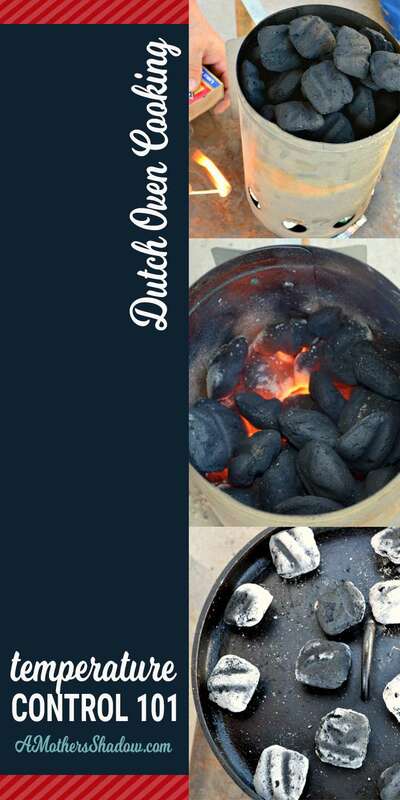 With a little practice, any food can be properly cooked in a Dutch oven, the only stipulation is, that it’s important to understand HOW to bring the dutch oven to the right temperature with our coals. Here is a handy chart to help with the temperature so food will cook evenly and properly; cakes, roasts, chicken dishes, virtually anything can be deliciously conjured by adjusting the number of briquettes to match the required heat called for in your recipe. 5- Besides filling the pot with one of my yummy recipes at the bottom of this post I share with you, that’s it! See I told you easy peasy! Keep in mind that cooking with charcoal is VERY HOT, so use extreme care to keep children and animals away and at a very safe distance. Use caution yourself with proper tools (like the ones I recommend in my top 10 list HERE) since you will be working with very high temperatures when the charcoal is lit. 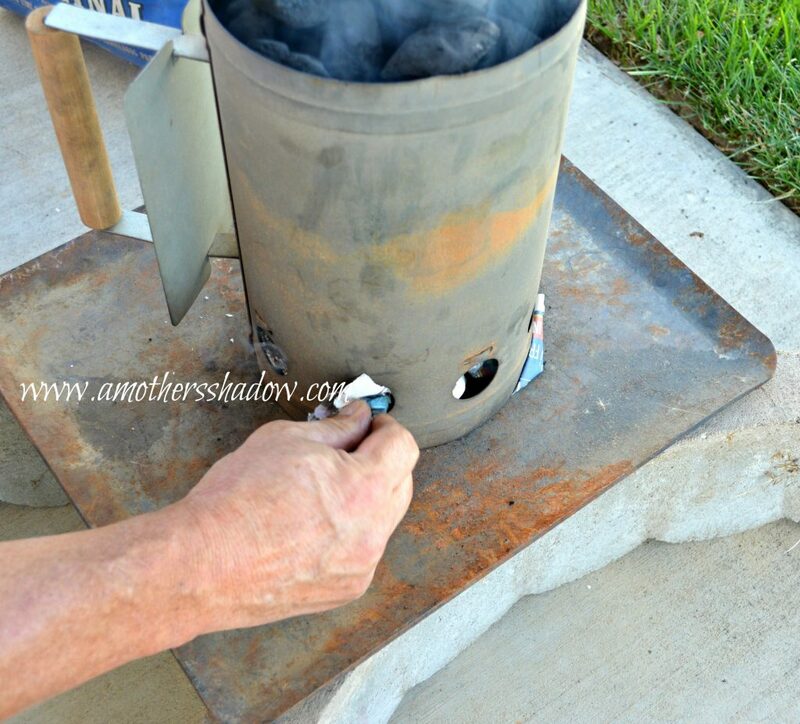 1- Place the charcoal starter/basket onto a dutch oven table OR heavy piece of metal that is elevated. 2- These cement tree rings that are set to be opposite each other work perfectly. There needs to be air circulating underneath, which is why they must be up off the ground. 3- Stuff wadded up newspaper underneath the charcoal basket. This will be the source of flame to light the charcoal. Lighter fluid can be used, but the newspaper method is better, cheaper and doesn’t give an odor. 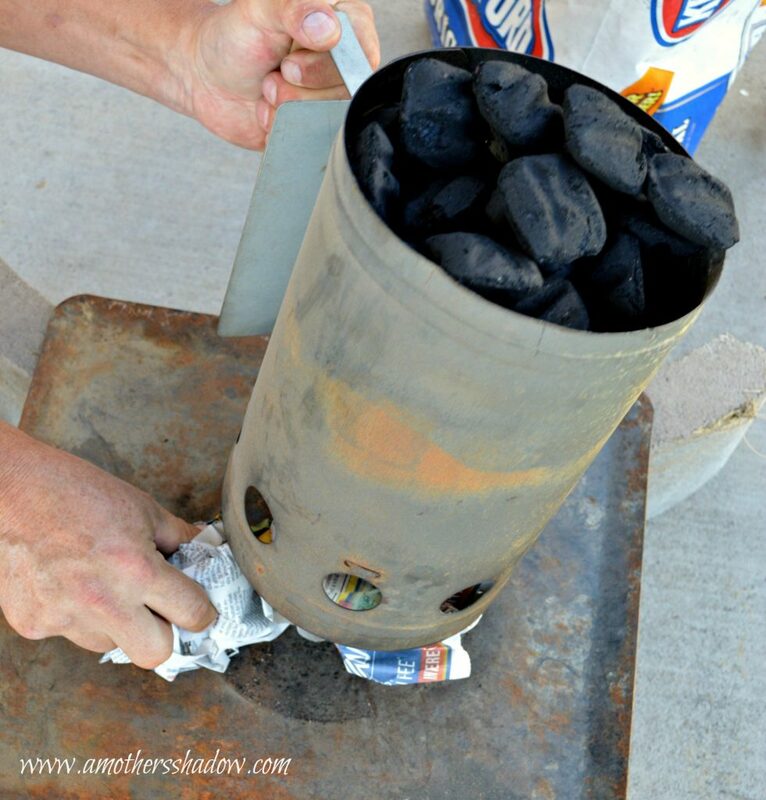 4- Light the newspaper through the holes at the bottom of the charcoal basket. 5- As the newspaper lights, the smoke will rise. 6- Continue carefully stuffing wads of newspaper through the holes as the paper burns down. Again, carefully. 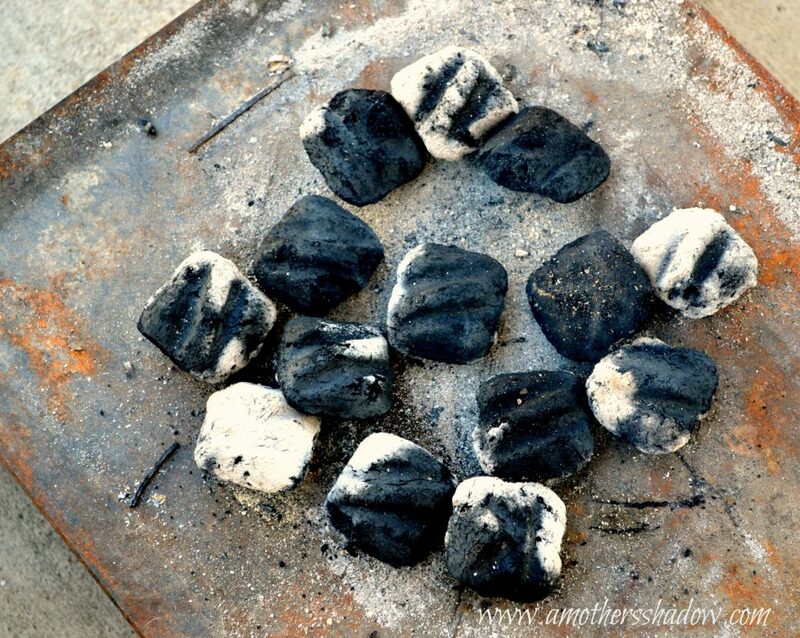 6- When the edges are white, the charcoal is ready to use. 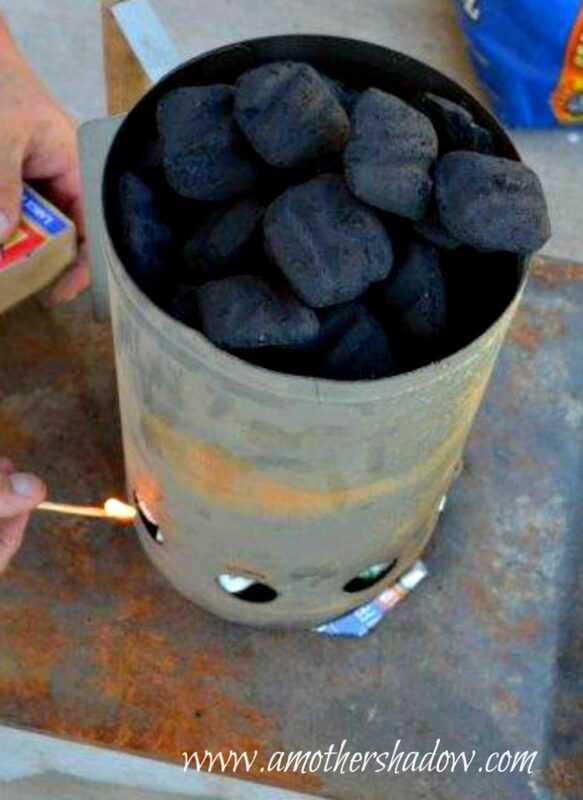 Note: Charcoal at the bottom of the bucket will be burning much hotter than those at the top; watch so as not to burn those down too much, and use from the bottom. 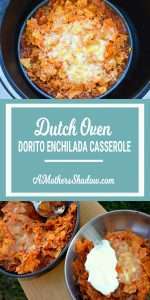 Your food is in the pot (remember I am sharing my recipes with you at the bottom of the page), place the Dutch oven on the elevated metal plate OR a Dutch oven table OR in a prepared fire pit – make sure to cook in a prepared and SAFE area, that children are not able to access. Carefully, with long tongs, take lit charcoal from the charcoal chimney and place the number you desire on the metal plate, Dutch oven table or pit; using recipe or chart above. Notice how they are touching, and the white lit corners are sure to touch the unlit ones? This allows for more cooking time as the lit coals burn down, then the unlit ones light and burn through so the heat keeps a constant temperature for the cooking time you need. Now place the filled dutch oven on top of the lit coals. 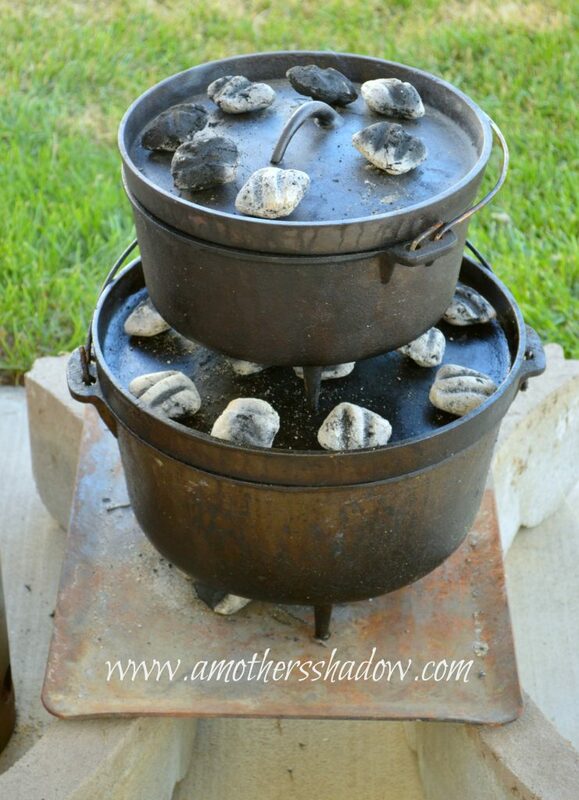 Next, place the coals on top of the lid of the Dutch oven needed for the recipe. 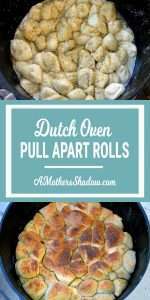 Dutch ovens can be stacked allowing for various sizes of ovens to cook at different temperatures. Stacking saves space and is economical too. 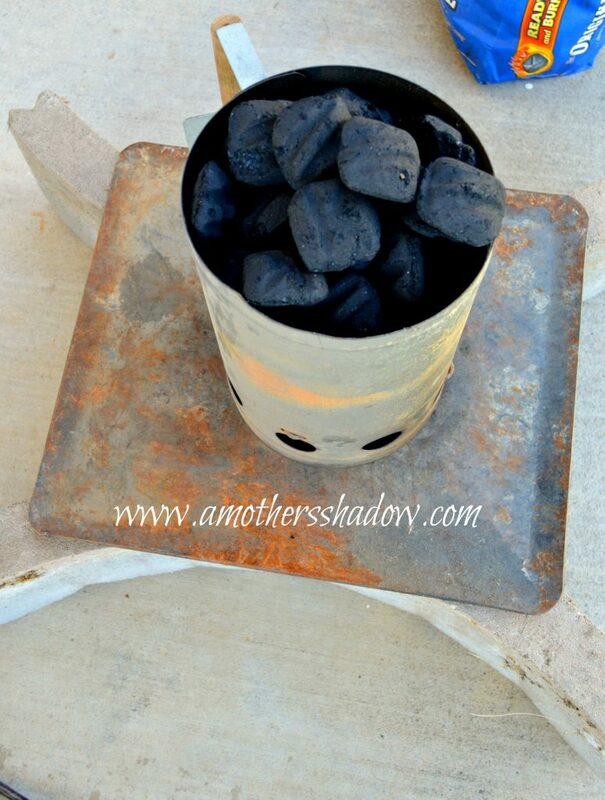 Be sure and discard coals into a coal bucket or a safe place such as a charcoal barbecue grill when finished. It’s best practice to have a large bucket of water nearby for discarding the hot coals when finished cooking. 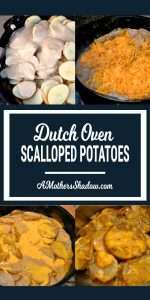 I hope you enjoy successfully learning how to cook in your dutch ovens, and will share your experiences with us. 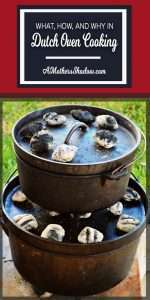 My huge thanks to Nancy Rappleye for allowing me to include a portion of her presentation on dutch ovens in this post.